Discover how to immerse yourself in music all around the house. Whole house audio brings the soothing, inspiring and energising power of music to every room in your home as you desire…including outside on the patio or by the pool. Quality amplification makes your speakers sing whether they are discreet in-wall or in-ceiling models, or larger floor standing designs that occupy a place of pride in your listening room. In fact, amplifiers are the critical component in distributed music systems as they are tasked with delivering the music signal over often very long runs of speaker wire. Too many whole house systems make sound everywhere, but music nowhere. 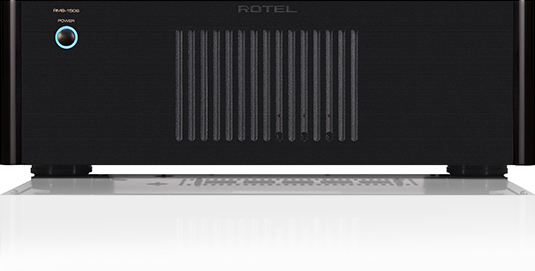 Award winning Rotel amplifier designs are available in different channel configurations, some with digital inputs for today’s streaming media devices, to fit any system configuration. Smart signal sensing means they turn on exactly when you want them to – when the music starts! At 8 x 100 watts per channel, the rack mountable RKB-8100 is an ideal solution for even the most demanding installations. RKB-D8100 is identical to the RKB-8100 but with added digital inputs. Music everywhere with 8 x 50 watts per channel is the purpose of our rack mountable RKB-850. RMB-1512 is the ideal whole-house music amplifier with 12 x 100 Watts per channel. Featuring 6 x 50 watts per channel, the RMB-1506 is a rugged, sophisticated, multichannel amplifier for those with a limited number of zones to fill with music.